Dedicated cryptocurrency mining cards are here! But… Not? Amid a worsening graphics card shortage, companies like MSI, EVGA, Sapphire, and Asus have stepped up to offer dedicated cryptocurrency mining cards running either AMD or Nvidia GPUs. But, supply still isn’t meeting demand. Over the past few months, both AMD and Nvidia’s mid-range graphics cards have become all but impossible to buy. The cause of this shortage stems primarily from a boom in the popularity of mining certain cryptocurrencies like Etherium, Bitcoin, zCash, etc. I’m sure other factors have influenced this shortage also, like the current shortage of VRAM for example. Either way, the complete lack of mid-range graphics cards is real and I can only hope that it’s over sooner than later. With prices going through the roof and availability becoming more and more limited, it was only time before companies noticed a trend and took action to capitalize on it. AMD and Nvidia recently released iterations of their most recent GPUs, Polaris from AMD and GP106 from Nvidia, to their partner vendors to use in dedicated mining cards. Companies who are releasing or have rumored releases of dedicated mining cards are, EVGA, MSI, Zotac, Asus, Sapphire, and a few less known companies like Biostar, Inno3D and Manli. 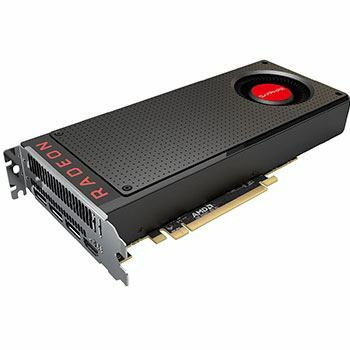 What’s the difference between a mining card and a graphics card for gaming? There’s really only 2 major differences, the first difference being that the majority of the mining cards do not have a port to plug a display into. The second difference is how they perform, hash rate is an important metric when it comes to mining but not to gaming, so, the dedicated mining cards have been optimized to provide an additional 30% higher hash rate in some cases. But… Since some of these dedicated mining cards have started to release not much has changed on the forefront of graphics card prices, and I can’t imagine that they will either, not for some time at least. Mining cryptocurrencies is a business and one of the most important factors in business is your ROI, or return on your investment. Since the majority of the dedicated mining cards don’t come with display ports of any kind, their resale value drops significantly as they’ll only be usable/valued by other miners. This poses the issue that the dedicated mining cards might be more of a niche product than the saving grace we’ve been hoping for. Only time will tell how much these new mining cards will alleviate the current stress on the mid-range graphics card market. If you’re planning on getting into mining, do lots of research beforehand. Determine how much you’re going to have to spend on power, hardware, etc, then calculate your estimated earning potential – if you’re going to earn less than you spend, it’s not worth your time or money. Hey there! I'm Branton, the founder and lead editor here at PC Game Haven. Since our launch in 2015, we've helped thousands upon thousands of gamers build their dream desktops, find the perfect peripherals, and more. Thanks for stopping by! Checking this box saves your chosen name and email via cookies for the next time you comment. This also allows you to easily find and access your comments/replies on PCGH by clicking the gear icon that'll appear right above the comment box AFTER making your first comment. I don’t think they really caught traction like the manufacturers thought they would. 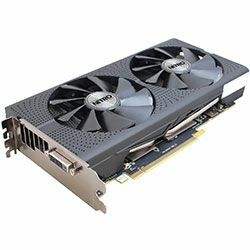 It boiled down to resale value and how most miners rely heavily on reselling their GPUs to increase their ROI. Since most, if not all of the dedicated mining cards did not have video inputs, they were effectively worthless in terms of resale value assuming gamers would be the primary buyers.